This hen-do activity is not for the faint-hearted! Filled with adrenalin and action, this is perfect for a hen party that craves outdoor fun and excitement. 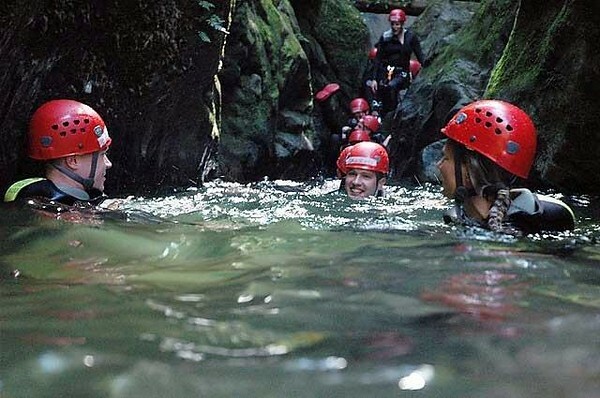 From scrambling over rocks to jumping 5 metre waterfalls, this is a hen do activity to remember! 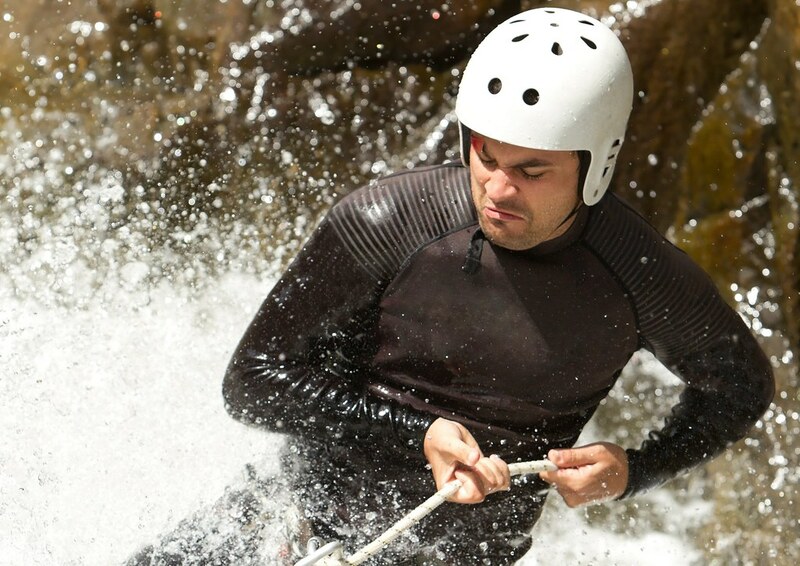 Gorge scrambling takes place at one of 2 locations in Wales; both are set in beautiful scenery and come complete with action-packed adventure. 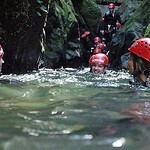 The event is supervised the whole time by an experienced guide who will lead the way across the gorge. You will come across plunge pools, rock walls and boulders. You will experience climbing waterfalls, explore caves and dark caverns. 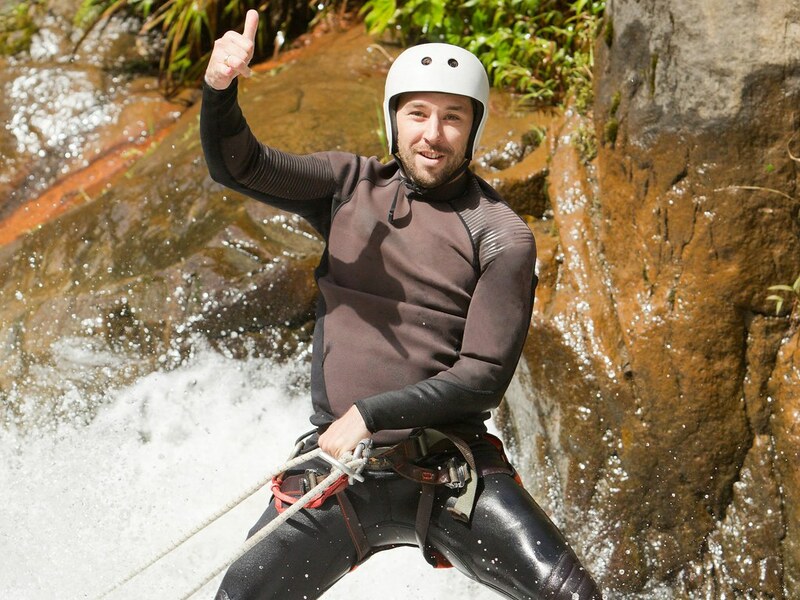 If your adrenalin isn’t pumping already, our guide will eventually lead you to a 5 metre waterfall, which you will be expected to jump! North Wales – based in the Snowdonia National Park just 15 minutes from the A55 between Conwy and Betws Y Coed. 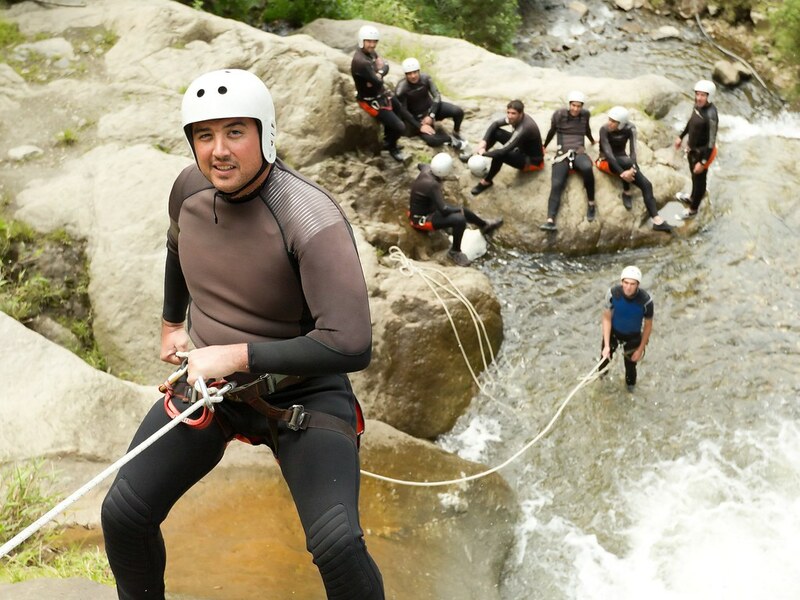 You will be walking up a river bed or gorge, so we will provide you with wet suits. All hens must bring some old trainers that are OK to get wet through. Hens are also advised to bring shorts to wear over their wet suits and a towel as things do get soggy! Please allow 3 hours for this activity. A minimum number of 3 is required to secure a booking.